Ready to redecorate? 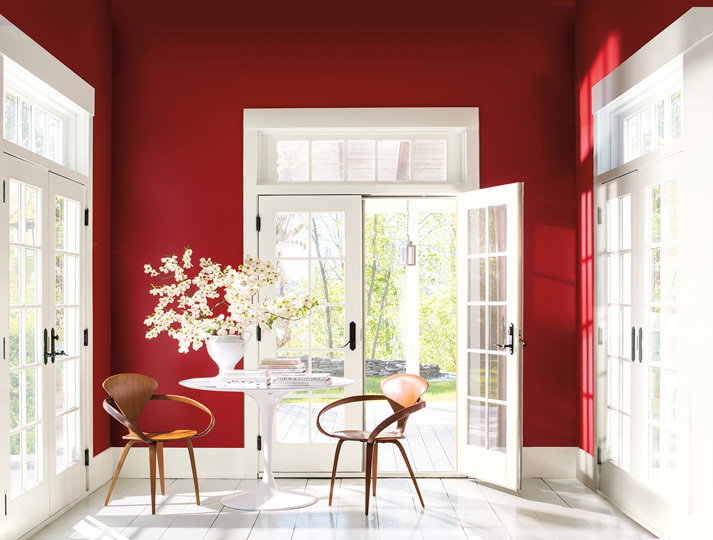 Don't stress over the color; these best-selling paint companies already have. 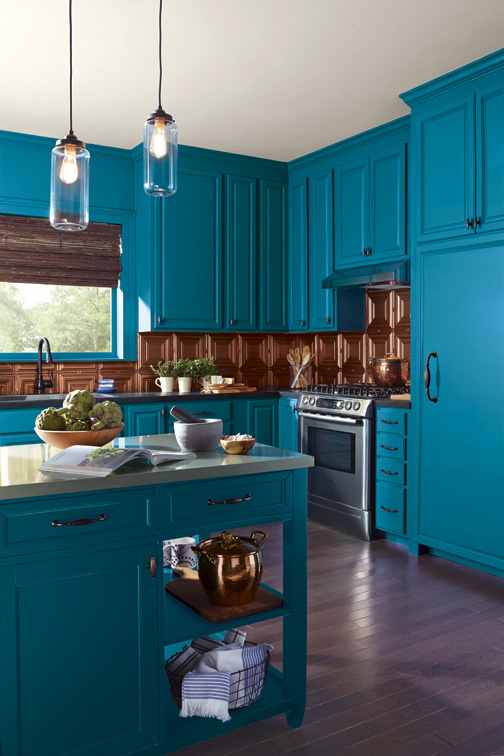 To choose their color of the year, Sherwin Williams, Benjamin Moore and Behr pay attention to the colors that seem to be showing up everywhere: movies, fashion and even cars. Each decides on their signature color, making it simpler for customers to keep their space up to date with the coming year’s trends. 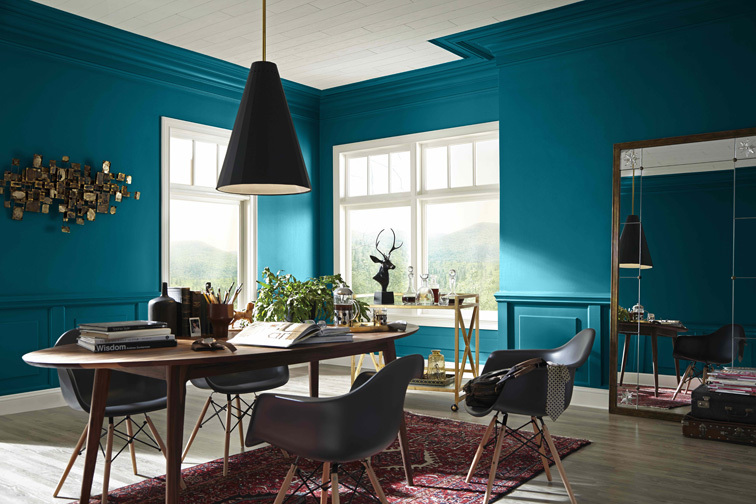 Bring the bay to your home this year with Sherwin Williams’s color of the year, Oceanside. This subtle mixture of blue-and-green tones brings together feelings of old and new, uniting any room with both traditional and contemporary elements. 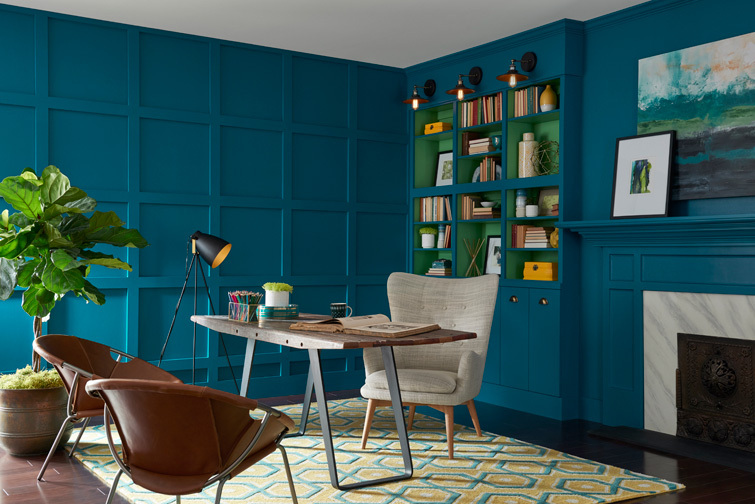 Blue often signifies intelligence, honesty and interest, making this color the ideal blend for an office or a freshly painted reading nook. A subtle splash of green transports a seaside paradise to your landlocked home and can also add a strong presence to the interior of a lake house. 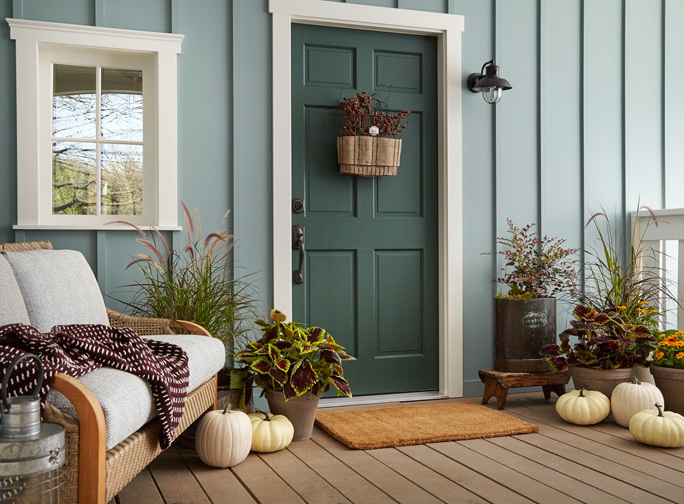 Repaint your front door for a fresh entrance to your home, or use this deep color to accent a room of cool grays. 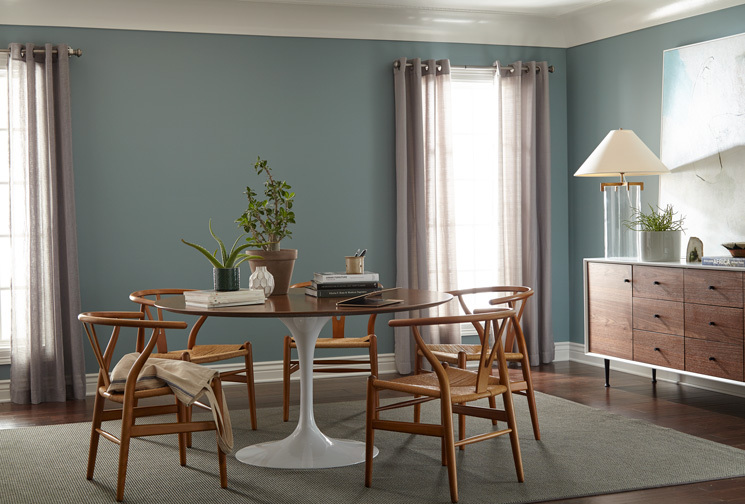 This oceanic hue fits in any design from mid-century modern to Mediterranean. A fast-paced life calls for a space of relaxation and sanctuary after a long day at work or running errands. In the Moment coalesces a calm blue and natural green, adding a touch of gray to take away the sharp edge of an over-bright room. The combination translates into a tranquil spruce blue, which transfers nature’s calming tones to an apartment in the heart of our city. Using this color in a room reminds everyone to take a break from seemingly non-stop work, to be present and recharge. 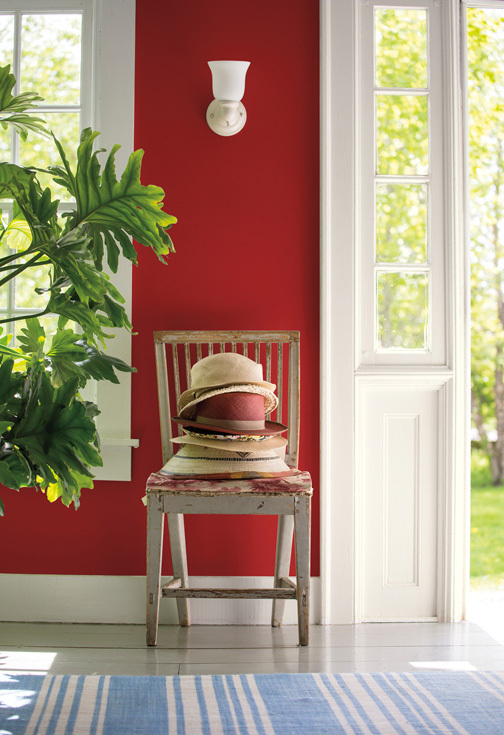 The color’s versatility makes it the perfect choice to use on both indoor and outdoor projects. Don’t be worried about deviating from your room’s design style with this soft addition for it crosses many different styles, from traditional to modern and fitting into both coastal and global themed spaces. This vibrant red will bring your minimalistic designs to life. The power of red warms up any room lacking depth and energy. Use it to modernize a space with a pop of eye-catching color, or let your nostalgia run free with this fresh hue. Create pure lines to accentuate the crisp geometry and striking silhouettes of a classic farmhouse to add a jolt of drama. Caliente will spice up rooms filled with grays and ocean tones without overpowering your current centerpieces or design. It will rejuvenate a classic farmhouse with a punch of drama or add life in a dull kitchen. Finding your home a bit more severe than you’d originally hoped? This pop of color brings playfulness to a serious façade with a bright front door or can add a focal point as an accent wall in any room.